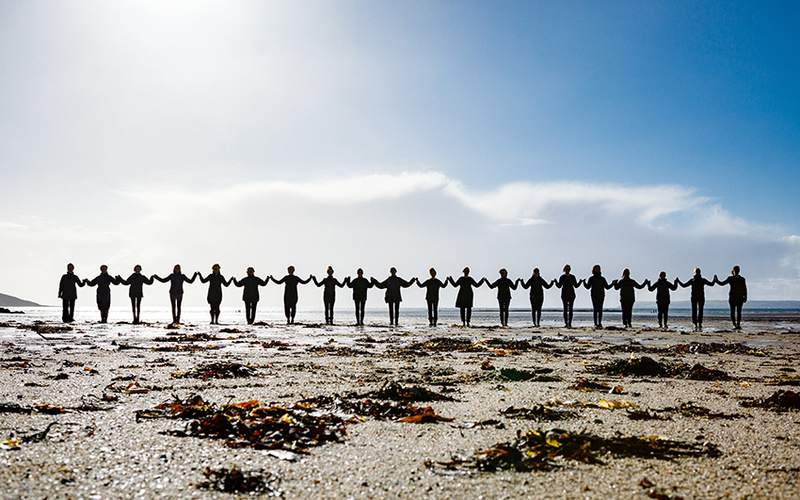 Choreographer Rosemary Lee is looking for women to perform in a new outdoor dance-work created for Par Beach. She is looking for women over the age of 21 who have some movement or dance background and would relish the opportunity to work outdoors in all weather on a performance that requires concentration, poise and stamina. ‘Passage for Par’ will be presented as part of the Groundwork season of international contemporary art across Cornwall in 2018 and has been commissioned by Groundwork and Dance Republic 2. Par beach, near St Austell, is an expansive sandy beach flanked on one side by the green fields of the Gribbin headland and on the other by the industrial landscape of the man-made port and buildings relating to the china clay industry.